Taste 5 Spanish wines Madrid can offer with your native guide Mario. We will visit a traditional tavern in the Literary district, near Plaza de Santa Ana. Are you a wine lover? Madrid is one of the best places to do a Spanish wine tasting with tapas! Let our madrileño guide Mario show you a great selection of flavors and sensations in a traditional tavern. Savor the unique lands of wine counting more than 60 designations of origin in Spain. This classic venue of Madrid is family run since 1931 and now the third generation. In this shop Tavern we will delight our palates with the best grape selection and wine cellars. 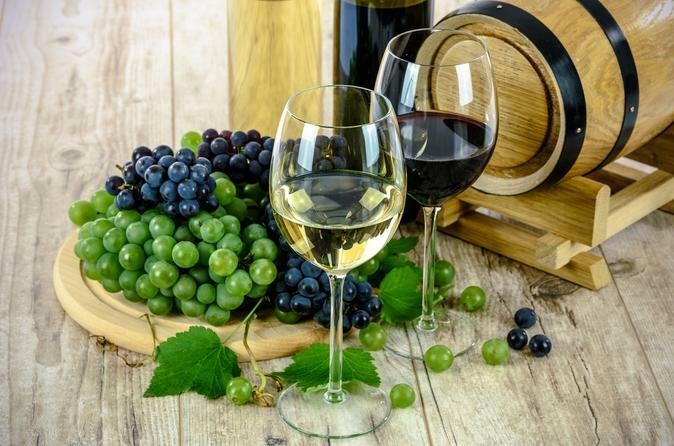 As a general introduction to Spanish wines and culture, we will taste some of the main Spanish Designations of Origin Rioja, Ribera reds or whites like Rueda. Different regions and specific vine yards will be relished and enjoyed at the tasting event. From the dark reds of Northern Spain to the clear sparkling Cava formerly grown across Catalonia. The notes on each wine will be commented as you pair them with delicious Iberian products, cheeses, quince jelly or olives. After this wine experience we’re sure you’ll be ready to discover other Spanish wines by yourself.